Built as a cost-no-object exercise in digital perfection, the £12,000 Sondek CD12 represented the cutting edge in precision digital engineering and Compact Disc replay performance at the turn of the new millennium. Every bit of the CD12 was original, including a new type of CD engine to transport the disc and completely new techniques for jitterless information retrieval, decoding and subsequent audio processing. For the ultimate in performance and longevity, all the main mechanical components in this product were machined from solid high-tensile aluminium ingots. In addition to the powerful new remote-control handset, the Sondek CD12 could be operated directly from the front facia. With no visible controls, disc loading and retrieval, play, skip and pause functions were achieved simply by pressing on the leading edge of the smart-drawer (which was the subject of Linn patents, using optical sensors). It was a joy to use; one of the nicest ever silver disc machines to operate. The exquisite electro nickel-plated aluminium alloy was the icing on the cake! The Philips-sourced laser pick up assembly was extensively decoupled from the main chassis of the CD12, designed to be immune from external disturbances such as vibration (both mechanically coupled and air-borne) from loudspeakers. The CD control/servo circuits were controlled using high speed DSP, and a puck was used to clamp the disc with low force, minimising resonance. The spindle motor was of brushless construction for electromagnetically quiet operation, with a three phase servo derived from a PWM control signal from the servo/decoder. Digital number crunching was courtesy of four 20-bit Burr-Brown PCM1702U-K DACs, only best selected samples were used. 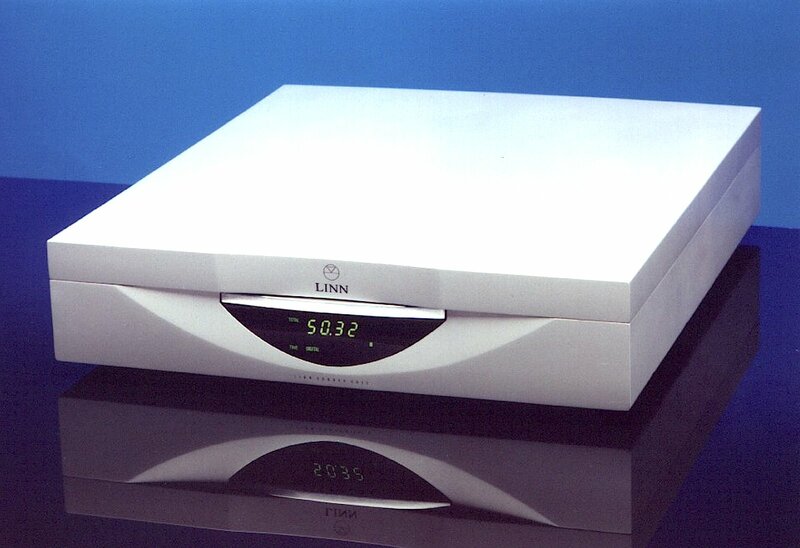 The power supply module in the CD12 was a new version of the Linn Brilliant switched mode design, encased in solid aluminium in a pocket machined from the solid chassis. Sixteen stages of power supply regulation were used on the outputs of the SMPS. The case was machined from two solid aluminium alloy plates, done by Linn’s sister company Castle Precision Engineering, precise to microns and beautifully surfaced and anodised. It was said that each case took “a very full working day to machine from solid using machines costing millions of dollars”. The compact (320x350x80mm) player weighed a solid 12kg. On audition, the CD12 was one of the very best silver disc players of its day – or indeed even now. Tonally smooth and svelte yet highly animated in a musically lucid and propulsive way, it managed to tie the most complex of mixes together with ease, making everything sound exuberantly musical, whatever programme material was used. Tonally, the Sondek wasn’t the warmest of machines, but still managed to sound like a very fine high end turntable – not too dissimilar in fact to the LP12!